As of November 30th, 2016, 'Life, All-In' Toolkit for blending formal, non-formal and informal learning in L2 to enhance social inclusion of the adult learners (including adult migrants) is also available on the website Linguistic Integration of Adult Migrants (LIAM) – a Council of Europe policy initiative. 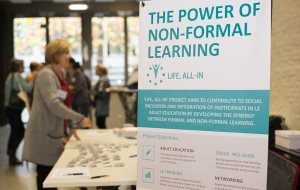 Over 90 participants discussing on the Power of Non-formal Learning and official launch of 'Life, All-In' project toolkit for blending formal, non-formal and informal learning in L2, to enhance social inclusion of adult learners, including adult migrants. 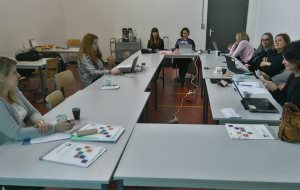 'Life, All-In' fifth and final project meeting took place in Antwerp, between the 16th and the 18th of November 2016, and on the 17th of November, the partner organisations’ representatives also participated in ‘Life, All-In’ Final Conference at the Atlas Integration Center in Antwerp.